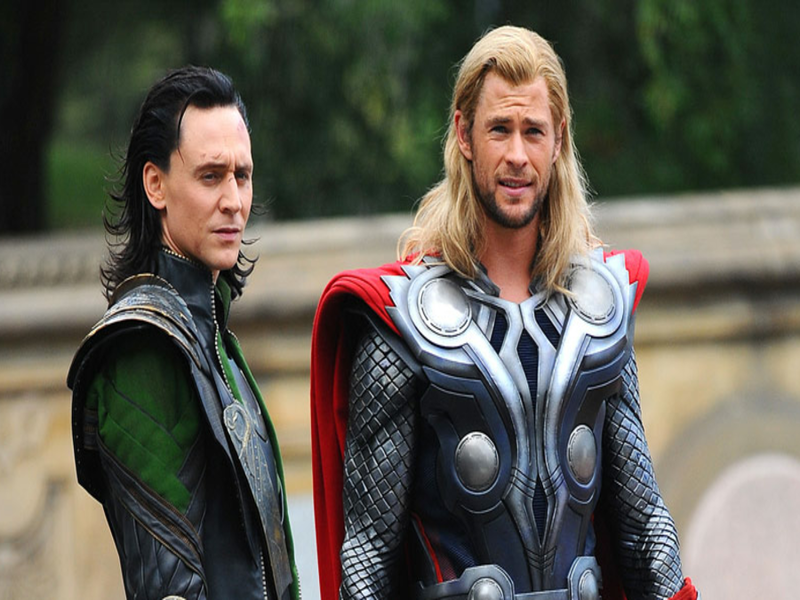 In both Thor movies and comic book depictions, Thor is portrayed as the brother who outshines Loki in every way. From being better in battle to being the favorite son of their father Odin, the God of Mischief can’t seem to catch a break. Thankfully the actor playing Loki seems to be doing pretty well from himself. He stars in blockbuster movies like The Avengers and the Thor films, earns an impressive sum of money and has a massive fan following who call themselves Tom Hiddleston fans to boot. Recently he also won TV Choice Award for Best Actor in his role as Jonathon Pine in the BBC miniseries The Night Manager. The TV Choice Twitter posted a video of Hiddleston giving his thank you speech. Since he is still shooting Thor: Ragnarok in Australia, he made his acceptance speech from the sets of the movie. And it seems like art is imitating life or in this case, life is imitating life as his onscreen brother Chris Hemsworth and Idris Elba steal his moment in the spotlight. 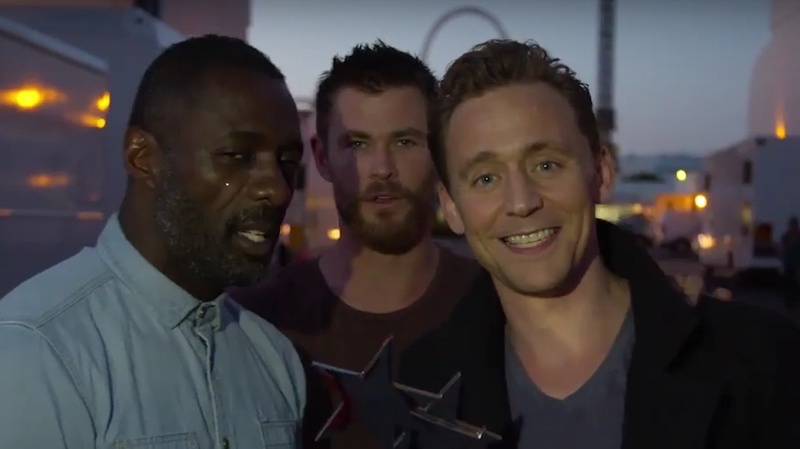 While Tom Hiddleston is giving his thank you speech, Chris Hemsworth and Elba interrupt the poor actor and “had a go”as the English say at the actor. They ask him what the award was for and laughingly declare “We didn’t watch that,” when Hiddleston tells them its for The Night Manager. Hemsworth also took the opportunity to repeatedly thank and mention Australian soap opera Home and Away, from which he first became a recognizable name. Meanwhile, Elba was cheeky enough to ask TV Choice why his own BBC show Luther wasn’t nominated. 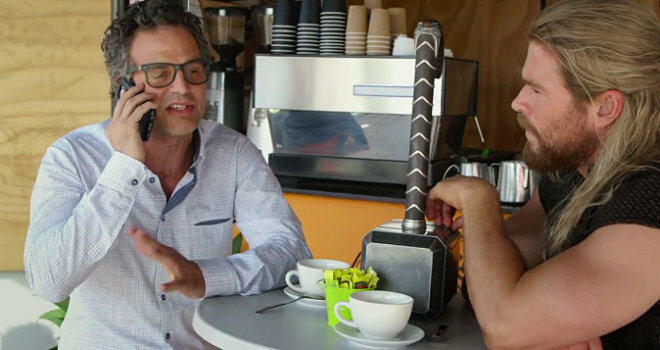 The cast of Thor: Ragnarok has been known to have a sense of humour. Chris Hemsworth was recently featured in a mockumentary where he explained where he was during the dramatic demise of the Avengers. The short clip also featured Hulk star Mark Ruffalo who gets a call from Tony Stark who avoids the Norse God in a hilarious ghosting call.